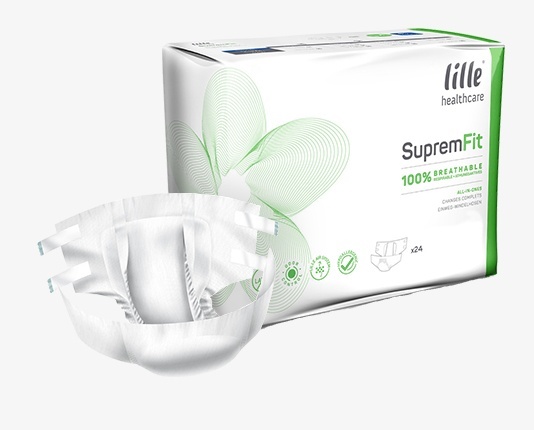 The Lille Suprem Fit all in ones are designed for moderate to heavy incontinence. With an absorbency range of 1500ml to 4000ml. Designed with waterproof backing and a stay-dry layer to ensure comfort and security, also features an elasticated waist to keep it flexible and non-restrictive. Ideal where comfort and security trumps discretion.